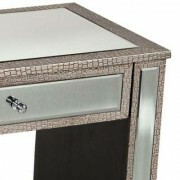 Mirrored Moc Croc Sliver Beside Table Dimensions: 68cm Width x 40cm Depth x 60cm Height.This is a Moc Crock Mirrored Cabinet. 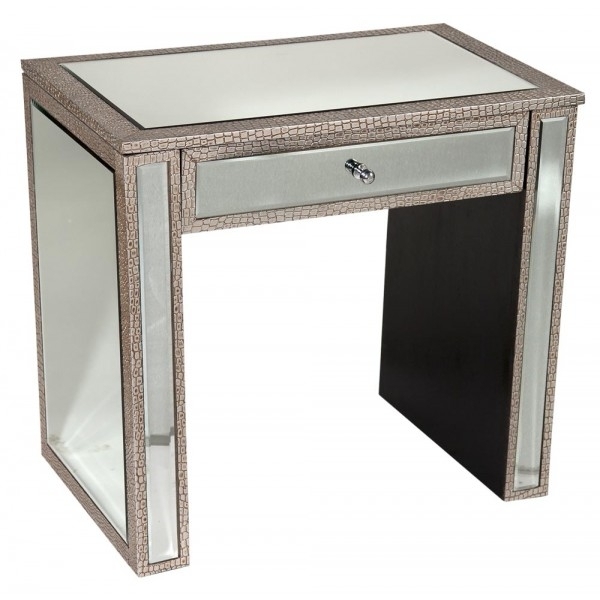 It is beautifully finished with mirrored glass panels, silvered faux leather mock – croc, over solid wood, with pretty silver knobs. The Moc Crock mirrored bedside cabinet is an eye catching cabinet suitable for a bedroom, bathroom or lounge.